admin – Where's the Food?! Robert Mundinger shows how to use the Early Matters Dallas map tool that he developed at Commit. This tool helps to look deeper into community issues by correlating different types and sets of data. Harvest Project recovers food headed for the landfill and redistributes it to communities all over Dallas. They will now be at the 10th St Community Garden every Thursday evening. Tell your friends in need or that want to volunteer! Watch Danaë Bibiana Gutiérrez Martínez tell you more. Many in Dallas don’t have cars or even the money to take DART to get groceries….WTF?! 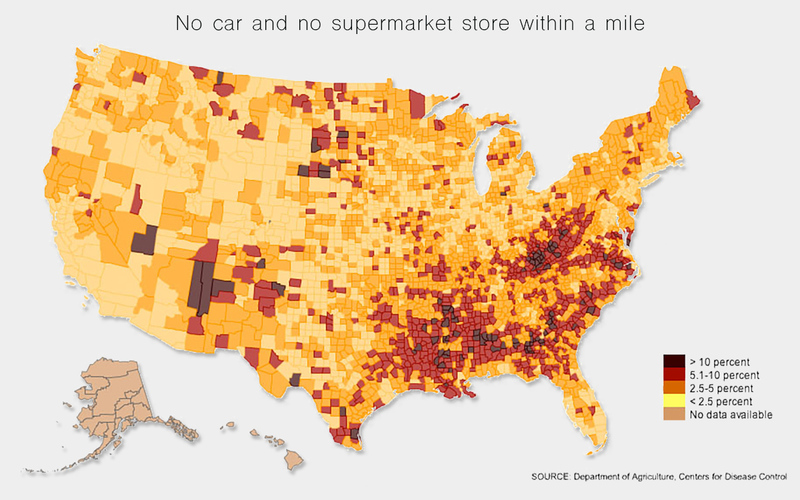 Surprisingly, most people still have no clue what a food desert is. Per the American Nutrition Association and USDA, Food deserts are defined as parts of the country vapid of fresh fruit, vegetables, and other healthful whole foods, usually found in impoverished areas. This is largely due to a lack of grocery stores, farmers’ markets, and healthy food providers. Here is the USDA’s food desert locator map.